Exhibits, special collections at the Maine State Museum, Archives, Library to be featured. 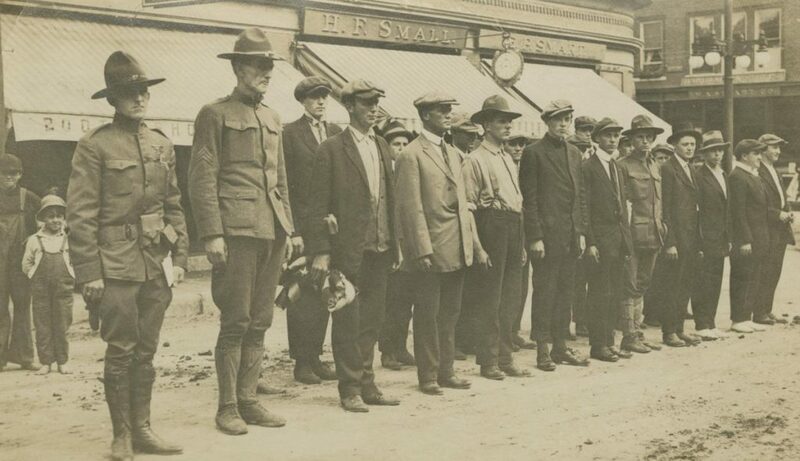 AUGUSTA — Special exhibits and collections spotlighting World War I stories, documents, photographs and artifactswill open at 6 p.m. Thursday, March 15, at the Cultural Building, 230 State St., according to a news release from the Maine State Museum. The free event is a collaboration of the museum, Maine State Archives and Maine State Library. The museum will feature its exhibit, “Over There and Down Home: Mainers and World War I” during the evening. The exhibit’s curator, Angela Goebel-Bain, also will be on hand to show some artifacts from the museum’s collections that are not in the exhibit. “Neutral No More: Maine Mobilizes for the Great War,” a special exhibit by the Maine State Archives will also be featured in the open house. According to archivist Sam Howes, the exhibit includes documents and images that show how Maine government and its citizens responded to World War I. One special section of the exhibit highlights Maine’s emergency response to the massive Halifax Explosion, which occurred in December 1917 with the collision of two ships, one a munitions carrier, in Halifax Harbor and led to the deaths of 2,000 people. The open house is part of the March Collaborative Encounters series by the Maine State Museum, Archives and Library. Future presentations in the series will be Thursday, March 29, — “The World War I Dye Shortage: Color, Clothes, and Chemistry” by Jacqueline Field; and Thursday, April 12, — “Maine and World War I” Talk and Book Signing by Jason Libby and Earle G. Shettleworth, Jr. All programs begin at 6 p.m. The library, museum and archives are located in the Cultural Building, adjacent to the Maine State House. For more information, visit mainestatemuseum.org, or call the museum at 287-2301.